It has been close to 66 years since the inception of Ceruti’s catering company. The company, which is a family owned and operated fully-fledged catering company have been rated amongst the best wedding catering companies in Fort Wayne. This accolade stems from the company’s flexible catering services. While it is based in Fort Wayne, it offers its services to clients in Southern Michigan. Also, the company offers its services at any time of the day and is available to clients throughout the week. 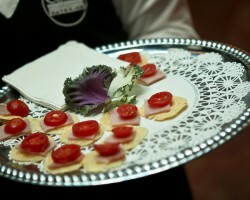 Splendid Fares is a catering company that offers its services to a wide array of clients in Indiana. Offering a wide spectrum of culinary services, Splendid Fares has a variety of menu selections for clients to choose from. In this regard, the company customizes its services to suit the needs of its clients. 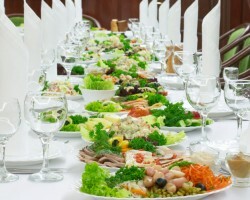 Splendid Fares offers its catering services to corporate clients as well as individual clients. The company’s chef is always ready and willing to design a custom menu depending on clients preferences. The popularity of Jamison Meats as one of the top Fort Wayne catering service providers is undeniable. 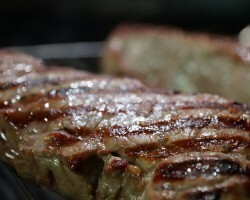 A full-service meat market offering fresh meat cuts, Jamison Meats offers catering services to meat lovers. This meat market handles all the catering needs on behalf of clients freeing them up to concentrate on other important aspects of their special day. From its selection of meats, this meat market is able to select the best meat cuts for their clients. Nine Mile Restaurant is a Restaurant that has been serving delicious and affordable foods since 1837. 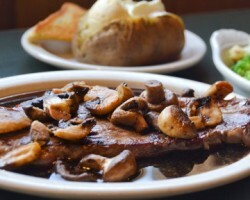 As one of the oldest restaurants in Fort Wayne, the Nine Mile Restaurant has built a reputation for its delicious foods and impeccable customer services. The restaurant offers several catering options for clients to choose from. There’s lunch and dinner buffet and the open bar option. All these options are offered at cheap rates earning the restaurant the title of one of the best local caterer in Fort Wayne. 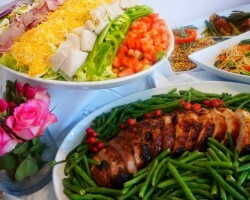 Waiter on the Way is a catering business that makes catering in Fort Wayne, IN seamless and stress-free. This business has partnered with over 150 local restaurants to provide clients with probably the widest selection of foods in the area. The business helps its clients choose a menu that will leave guests begging for more, whether its Mexican food or Italian catering, Waiter on the Way always delivers. The company has been serving residents of Fort Wayne and its surrounding areas for over 25 years.